The latter option, friend and follower, is the service that The Social Sorting Experiment provides. Find out what your digital caricature says about you, how you rank on the index of attractive ears, and more. 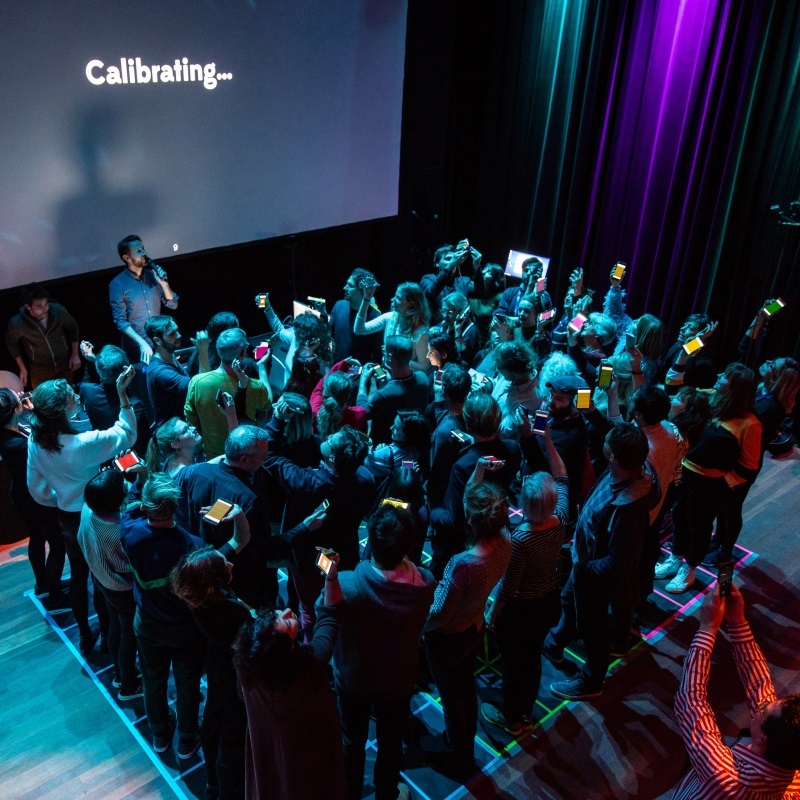 Experience how your data is used in unexpected ways in this absurdist and serious yet fun interactive performance where you and your smartphone are the main stars of the show. Come learn the mysterious algorithmic rituals under the hood of social media and you might just make a couple of good ol' analogue friends by the end of it all! The Smartphone Orchestra is an orchestra created by the audience's smartphones. Imagine a world of shimmering musical sound fields in a concert hall, mass choreographies at festivals, unprecedented audience participation in theatre shows and spontaneous flash mobs at parties or demonstrations. The Smartphone Orchestra opens up a plethora of possibilities to engage mass audiences. The audience takes centre stage in this multimedia production created by an award-winning team of creatives, developers and sound engineers.